Featuring thick spaghetti straps with a square neckline and babydoll silhouette, this lined midi-dress is a cute layering piece for the colder weather. 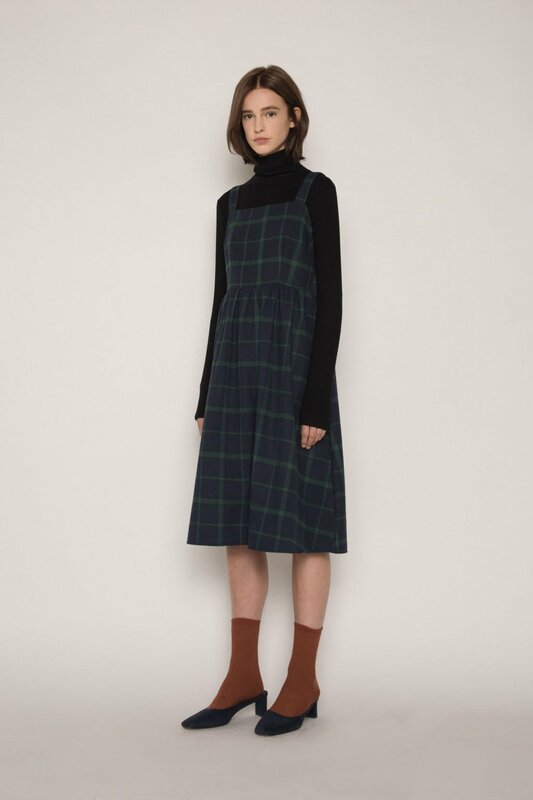 The navy and forest green plaid gives this piece a playful vintage touch. Layer over a turtleneck and pair with a fall coat and ankle boots for a cute everyday look.